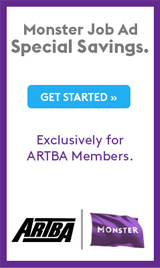 Source: ARTBA analysis of McGraw Hill data for January to July 2014 compared with January to July 2013. 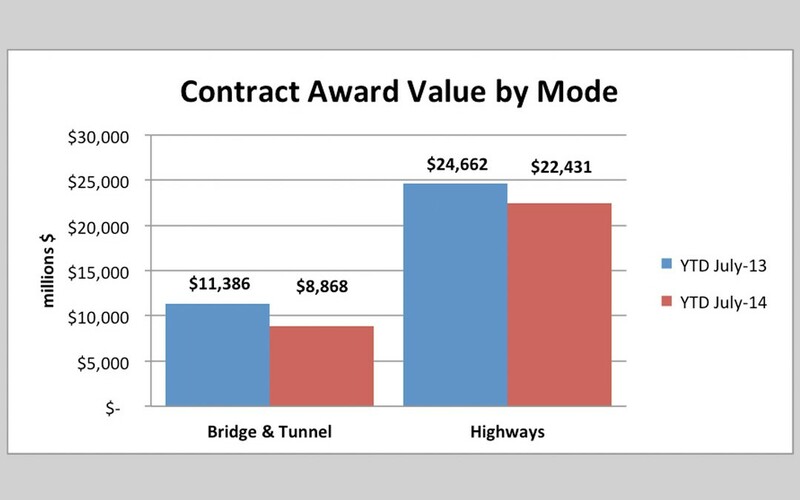 The real value of highway and bridge contract awards was down 14 percent in the first seven months of 2014 compared to last year, according to ARTBA analysis of data from McGraw Hill. State and local governments awarded $37.2 billion in highway and bridge work between January and July 2014, compared to $41 billion during the same time period in 2013, when adjusted for material costs and inflation. The latest data indicates that the slowdown we have seen throughout 2014 is continuing into the summer construction season, when state and local governments put out most of their awards. It is likely that this pullback is in part due to the uncertainty surrounding the federal aid program and the Highway Trust Fund. Although Congress has passed a highway funding extension bill through May 2015, 35 states had already expressed concerns about pulling back on construction projects by the time the bill was passed. The slowdown is widespread, with 25 states awarding fewer highway and bridge contracts by July 2014 than they did a year ago. Awards were up in 17 states and Washington, D.C., fewer than compared with June 2014 year to date, and programs were fairly flat in nine states, either up or down within five percent, almost double compared with June 2014 year-to-date.